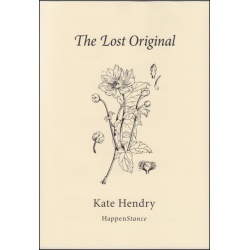 The Lost Original is available to buy from Happenstance Press. for this one present, which I place on your lap. of her babyhood you can baste her with love. I say. ‘Who?’ you say – it’s your game. in private, in dark rooms, when I’m rushing out.